Proposing to your girlfriend in public in some situations might not be a good idea especially when you know you’ve f*cked up somewhere along the line. The embarrassment alone can give you a shocking heart attack that will leave you stunned for the rest of your life. 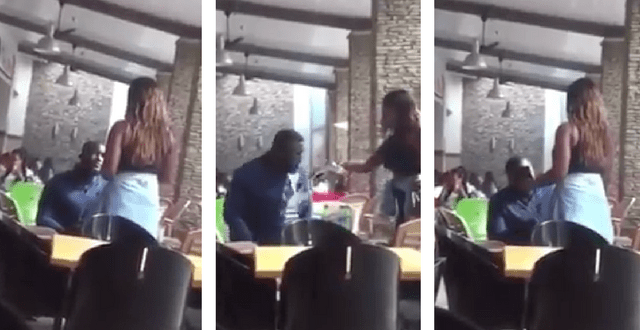 A viral video making rounds on the internet shows a young man being embarrassed after he proposed to his girlfriend at the Accra mall only for the girl to pull her phone and show him screenshots, that proves that he has been cheating on her, and then pours water on him to further disgrace him in the full glare of the people around. We don’t know how this young man is going to deal such embarrassment but we sure know he will be fine after taking some Panadol.